Alien 1 movie memorablila keeps the monster a secret - you are not sure what the creature looks like until the end of the film! Arguably one of the best sci-fi creature movies ever made. 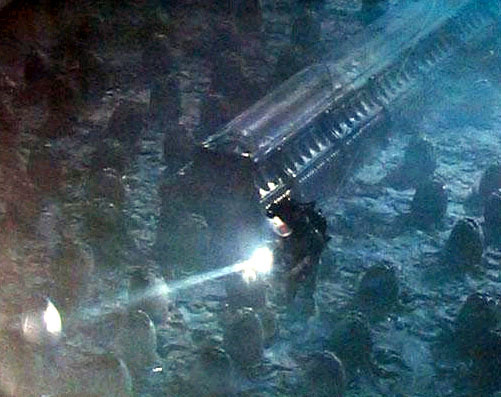 Note the design of the Alien Advance poster, and how it changed to the more recognizable Green Egg image.